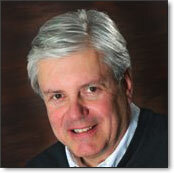 Bill Maxwell and Associates is a leadership and change consulting firm in Cape Elizabeth, Maine. sector organizations, we also work with individual managers and project leaders. In order to avoid stealing your time, we focus on practical experience. Realistic optimism combined with right-match focus leads to meaningful change. As a coach, I am certified by the Management Research Group in LEA 360 Strategic Leadership Development. This allows me to build individualized coaching programs based on world-class assessment products. Using my experience as a mentor, teacher and learner, I partner with clients in a spirit of realistic optimism. Our facilitation leads to moments where professional lives shift for the better. match for your organization’s learning goals.